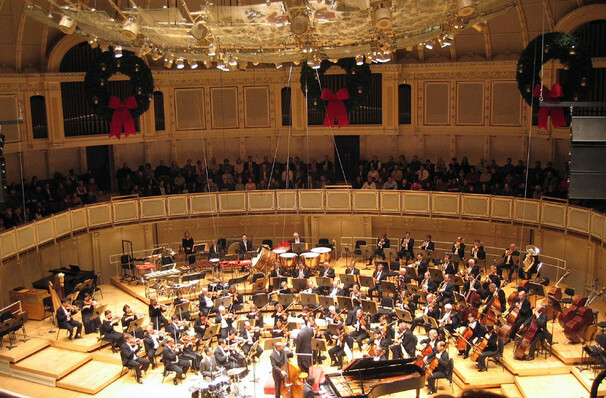 Why See Colorado Symphony Orchestra - Home Alone in Concert? Nothing says Christmas like food comas on the couch and festive re-runs of feel-good, family-friendly movies, Home Alone being the top of the Yuletide viewing roster! Muster some gumption, put on your coat and join the Colorado Symphony and Australian guest conductor Christopher Dragon for their special HD screening and live score accompaniment of the classic feature film in celebrating its 25th anniversary! John Williams' timeless score punctuates the high-spirited adventures of eight-year old Kevin McCallister, as played by a cherub-like Macauley Culkin. When the youngster acts out the night before a family trip to Europe, his mom makes him sleep in the attic and the family unintentionally leave him behind! At first, Kevin revels in having some independence, but things take a turn when two bumbling burglars case his house and its up to the pint-sized mischief maker to protect the family home! Sound good to you? 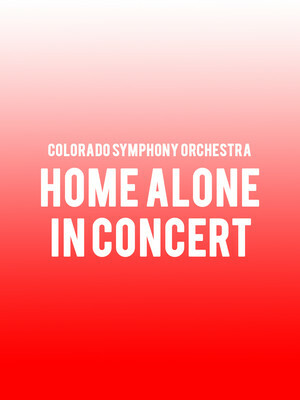 Share this page on social media and let your friends know about Colorado Symphony Orchestra - Home Alone in Concert at Boettcher Concert Hall. Please note: The term Boettcher Concert Hall and/or Colorado Symphony Orchestra - Home Alone in Concert as well as all associated graphics, logos, and/or other trademarks, tradenames or copyrights are the property of the Boettcher Concert Hall and/or Colorado Symphony Orchestra - Home Alone in Concert and are used herein for factual descriptive purposes only. We are in no way associated with or authorized by the Boettcher Concert Hall and/or Colorado Symphony Orchestra - Home Alone in Concert and neither that entity nor any of its affiliates have licensed or endorsed us to sell tickets, goods and or services in conjunction with their events.